Work stress and low job satisfaction are the primary drivers for help-seeking in IT professionals. PR a 34-yr old software engineer employed in an IT company came to us for guidance while considering a career change. He felt stressed, and experienced his work as meaningless. He felt alienated from his colleagues and his job dissatisfaction was high. PR’s is not a one-off case. A PPC Worldwide study reported that 62% of all employees experience work stress. Responses to a poll specifically studying IT related work stress are as depicted in the chart above. Work stress contributes to job dissatisfaction and increased attrition in the workforce. Most burnout prevention methods focus on personal responsibility for wellness. They require sacrifice of personal time with the perverse goal of being more effective at work. We have already seen what the individual needs to do to manage stress with a health promoting lifestyle, Even 15 minutes of exercise is effective. We now need to look at the organisational factors resulting in committed employees. Nature of work is an intrinsic motivator measured by an individual’s feeling that their job is meaningful. They feel engagement, and a sense of pride in the job. Humiliation at work does not foster this sense of engagement. For many of our clients humiliation is a prime driver to distress and burnout. RK came to us when he was thinking of quitting his job. He had been 'de-promoted' into his own team when they were unable to meet a target. His self-esteem was low and he was depressed. He recovered with treatment and counselling. He could then decide his next career move from a position of strength. Work plays an important part in fulfilling an individual’s social needs. Co-worker acceptance and a sense of belonging to a group and culture affect job satisfaction. Unfortunately the culture in many IT organisations continues to reflect the ‘in’ and ‘out’ groupings of the college hostels through which their managers have emerged. This only adds to the job dissatisfaction of IT professionals who may be contributing at their jobs but do not feel a part of the organisation. 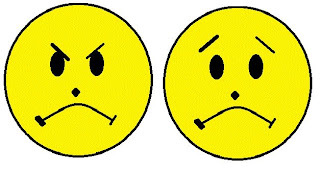 Job dissatisfaction is inversely associated with emotional commitment. IT professionals who are satisfied feel more emotionally attached to and involved with their organisations. Job satisfaction is associated with feeling more obliged to remain with the organisation. Continuance commitment (cost associated with leaving the company) is not related to job satisfaction; pay does not matter disproportionately to the IT professional. Work stress and work pressure are correlated with job dissatisfaction and poor employee engagement. The IT professional’s decision to stay with the company due to feelings of attachment and obligation results from job satisfaction rather than the costs associated with leaving the company. A working atmosphere that validates the individual and their differences will enhance that attachment and commitment to the organisation. E.J. Lumley, M. Coetzee, R. Tladinyane, N. Ferreira. Exploring the job satisfaction and organisational commitment of employees in the information technology environment. Southern African Business Review Volume 15 Number 1 2011. Kaluzniacky, Eugene. Stress Management. In: Managing psychological factors in information systems work : an orientation to emotional intelligence. Idea Group. London, 2004. Pg238-245. Psychol Rep. 2009 Dec;105(3 Pt 1):759-70. Employee engagement and job satisfaction in the information technology industry. Kamalanabhan TJ, Sai LP, Mayuri D.
Saradha.H. Employee engagement in relation to organizational citizenship behaviour in information technology organizations. Submitted in partial fulfillment of the requirements for the degree of Master of Philosophy. Institute of Management, Christ University, Bangalore. 2010. Caregivers living with persons having Alzheimer's Disease face specific problem behaviours. 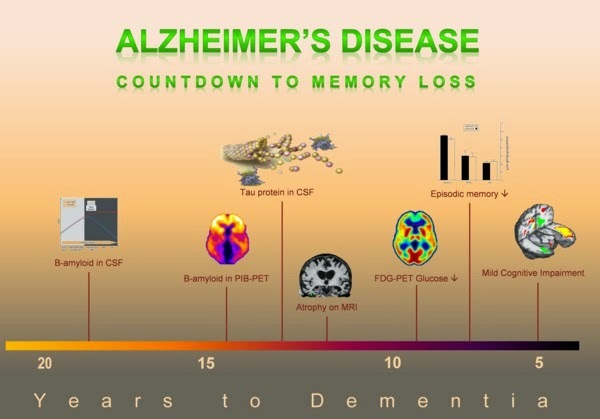 These behavioural problems result from memory loss that is the hallmark symptom of Alzheimer's. We have previously discussed resources giving hope for dementia caregivers. Caregiver do's and dont's for mental illnesses in general have also been highlighted. Living with Alzheimer's Disease is the theme for World Alzheimer's Day 2012. In this post we specify methods to help caregivers living with persons having Alzheimer's handle problems related to memory loss and reduce the burden of care at home. Regular routine enables basic activities of daily living for a longer period of time. Make a visual time-table and regularly remind the person with Alzheimers to consult it so it becomes a habit. Keep large clocks in each room and remind them of the time at every opportunity. A personalised calendar with large figures helps plan and anticipate potentially confusing events such as a festival or travel. A room with a window is great for orientation. Natural daylight and dark phases maintain the sleep-wake cycle. Greet at every new meeting with date and time. The date is particularly difficult for a person with Alzheimer's to learn - it changes every day - hence the disorientation. 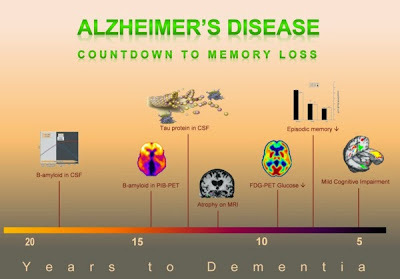 Repetition will keep the person with Alzheimers disease current with the month and year for longer. Keep familiar objects like photos, phone, books, and decorative pieces in the same place. People with Alzheimer's often have to move from one set of caregivers to another. Placing these objects in the same general positions helps them to avoid confusion and anxiety. Photographs are important visual memory pegs. Two or three frames with photographs of the caregiver families and old friends reassures the person with Alzheimer's disease and facilitates their smooth transition between caregivers. 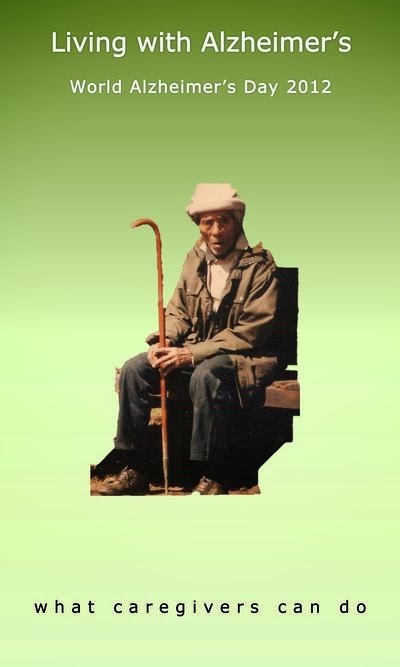 An identity card is essential for every person with Alzheimer's. It must contain an address and an emergency contact number. It should be worn at all times, even inside the house. Your loved one can wander out of an open door and not be able to find her way back. Reinforce and rehearse showing or consulting the identity card on being asked for address or phone number. Encourage and let them do the things they can. Don't take over every activity or your caregiver burden will increase. Prompt them when they hesitate or take time. Help them in those activities they are unable to do. Anti-dementia drugs delay nursing home admissions for upto a year. To make home this stay meaningful and to reduce the burden of care these methods need to be used by caregivers living with Alzheimer's Disease patients. Cannabis or marijuana use by teenagers and adolescents is highly associated with the onset of psychosis and schizophrenia. Cannabis goes by many names including hash, pot, grass, weed, or ganja. This gateway drug is falsely thought to be innocuous and as having no lasting effects. Cannabis use by teenagers is often not recognised as a problem. Cannabis is cheap and easily accessible in most student populations. Pune is a major hub for the cannabis drug trade. This week a quarter tonnne of ganja was found dumped in a well. Cannabis use is rampant in Pune colleges and hostels, where students assiduosly guard and maintain their 'stash'. During the 57th National School Games the highest number of students testing positive for marijuana came from Maharashtra. Regular cannabis use increases the risk for schizophrenia and psychosis by upto 4 times. There is increasing evidence that cannabis use can precipitate schizophrenia in vulnerable individuals. This is especially so with early onset use of cannabis. Cannabis also exacerbates symptoms of schizophrenia in those who have already developed the disorder. Psychotic disorders like schizophrenia involve disturbances in the dopamine neurotransmitter systems of the brain. Δ9-tetrahydrocannabinol (THC) - the key neurochemical in cannabis - interacts with dopamine to adversely affect its functioning by multiple mechanisms. Teenagers are especially vulnnerable to the schizophrenia-inducing effects of cannabis. Cannabis like substances (anandamide) called endocannabinoids, produced by the body, play an important role in several processes of brain maturation. 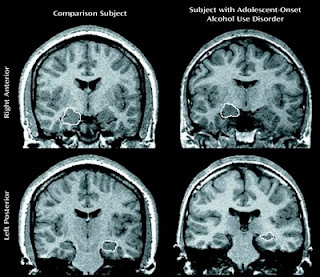 Regular marijuana use affects this process of brain maturation in teenagers. Schizophrenia is also a disorder of brain maturation. Disruption of the endocannabinoid system in the adolescent brain by exposure to cannabis interferes with brain maturation. This provides a mechanism to increase the risk for development of schizophrenia in adolescence. Write down a list of reasons for wanting to stop - you will need to review this at times when you are feeling low or experiencing craving. Get rid of the paraphernelia for smoking cannabis - the stash, wrappers, lighters, matches. You may be surprised at the number of places where small amounts are hidden. Get rid of it all. Make a list of things to do to occupy the time freed-up from procuring and using cannabis. Review your list of reasons and things to do when you feel low and when craving is intense. Degenhardt L, Hall W. Is cannabis use a contributory cause of psychosis? Can J Psychiatry. Aug 2006;51(9):556-65. Alcohol and Happiness - do they mix? Alcohol and happiness don't mix - definitely not when taken in excess, and definitely not in the long term. 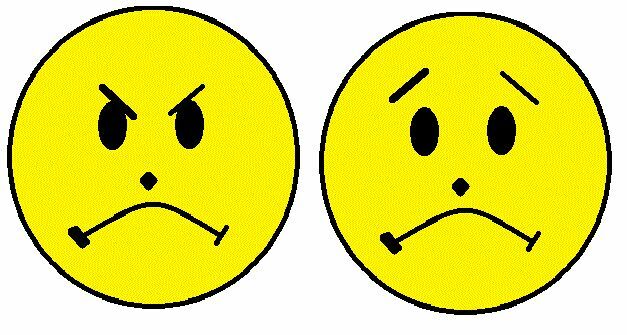 The relationship between adverse alcohol use and unhappiness is reciprocal - unhappy people tend to drink hazardously, and vice versa. This effect increases over time as demonstrated by a 15-year study that followed-up adult twins in 1975, 1981, and 1990. 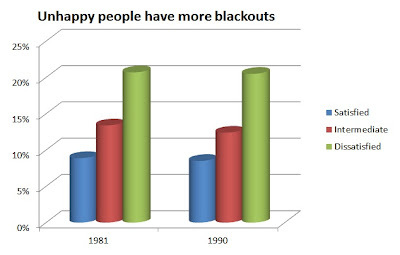 Blackouts or passing out while consuming alcohol is an indication of unhappiness. 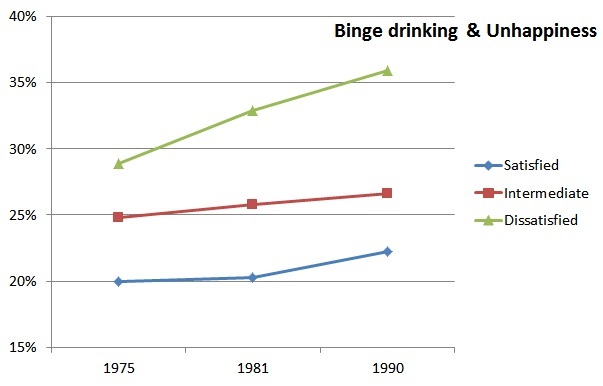 Dissatisfied people are more likely to have a pattern of binge drinking. Binge drinkers are more likely to be dissatisfied with life. A pattern of binge drinking on weekends negates any beneficial effects of moderate alcohol use. Excessive alcohol use increases dissatisfaction and unhappiness. Alcohol, even in moderation does not reinforce feelings of well being, pleasure, happiness or joy. Moderate drinking does not reduce unpleasant feelings. Don't drink alcohol to regulate your mood, it leads to more grief. H. Koivumaa-Honkanen; J. Kaprio; T. Korhonen;, R.J. Honkanen; K. Heikkilä; M. Koskenvuo. Self-reported Life Satisfaction and Alcohol Use: A 15-year Follow-up of Healthy Adult Twins. Alcohol and Alcoholism. 2012;47(2):160-168. R. Curtis Ellison, Marjana Martinic. The Harms and Benefits of Moderate Drinking: Findings of an International Symposium. May 2007 supplement to Annals of Epidemiology. Gustafson R. Does a moderate dose of alcohol reinforce feelings of pleasure, well-being, happiness and joy? A brief communication. Psychol Rep. 1991 Aug;69(1):220-2. A Pune teenager was kidnapped and murdered by his school friends a few weeks ago. The victim was deliberately selected and his parents were manipulated for a ransom. 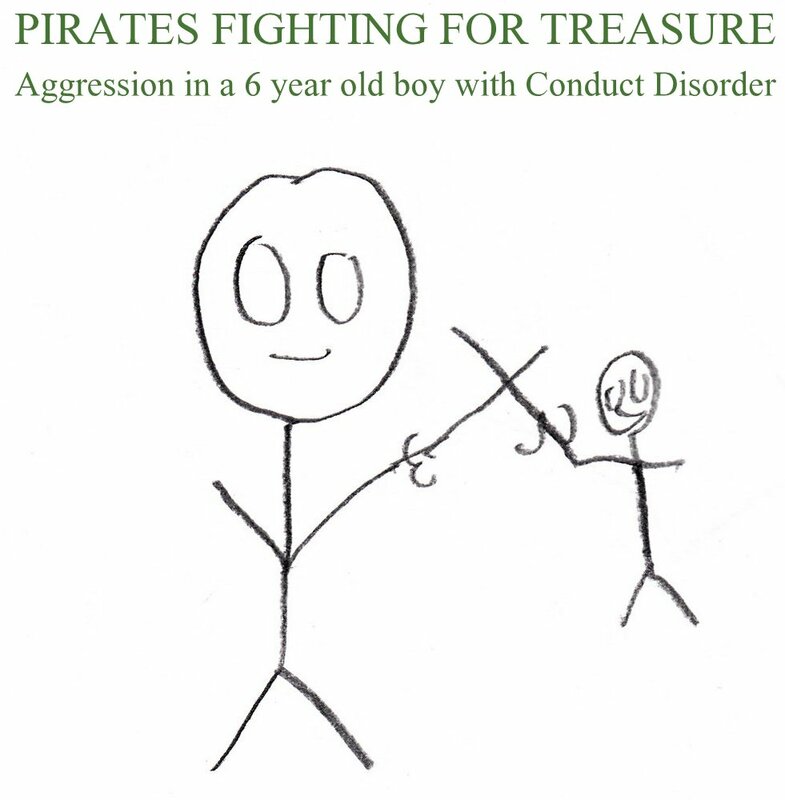 Violence, theft and destructiveness are end stage behaviours of conduct problems in children and adolescents. The commonest path of violence in children is 'adolescence-limited'. The antisocial behaviours usually occur when the adolescents are 'hanging out' in a group. This type of aggression reflects an anti-authoritarianism. Anti-authoritarianism results from frustration over being denied the benefits of full adult independence despite reaching physical maturity. Adolescent limited aggression is less violent, relies on peer encouragement, and generally diminishes by adulthood These adolescents are usually able to integrate into society as young adults. 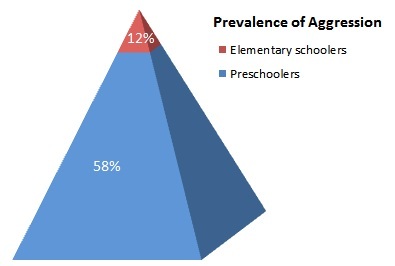 Aggression is common among preschoolers. The prevalence rate of aggression in children reduces dramatically once they enter school. Children whose fighting does not reduce in the early school years are at high risk for persistent violent behavior. This important subgroup of proactively aggressive youth is profoundly indifferent to the consequences that their misbehavior has upon others. They rarely display genuine remorse. Their personality of 'callous-unemotional traits' is characterised by a lack of empathy, self-centeredness, and shallowness. As youths they are responsible for a large number of violent offenses. Their aggressive behavior is often persistent as features of psychopathic or sociopathic personality. Aggression is significantly affected by the parent-child relationship. Children with conduct problems tend to have acrimonious and negative interactions with their parents. The parent is perceived as just an agent of coercion. It is important to change this environment. Positive interactions between the parent and child serves to reinforce the perception of the parent as a source of positive attention, affection, support and encouragement. This makes the child responsive to parents' authority and to the rewards and punsihment that the parent dispenses. The reactions of others to the aggressive behavior sustains and reinforces it. They may give in to what the child wants, give up trying to get compliance, or even bar the child from school - which may be exactly what the child wants. To render the aggression ineffective parents/ teachers have to respond by ignoring milder misbehaviour and handing out consequences. These include time outs, loss of privileges (TV, cell phone, Facebook) that the child will want to avoid, and limit setting (curfew times, restricting location). Parents need to establish their authority and implement some of these measures in aggressive children. 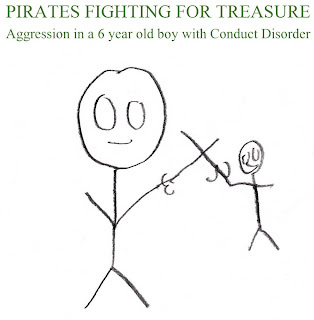 This teaches children that aggression is an ineffective means of fulfilling a particular wish. These lessons are better learned early under caring parents rather than later in a centre for juvenile delinquents. Brennan LM. Toddler-age externalizing behaviors and school-age academic achievement: independent associations and the impact of parental involvement University of Pittsburgh. Thesis presented 27-Aug-2010. Psychological development is a key aspect of any ‘Healthy Baby Contest”. 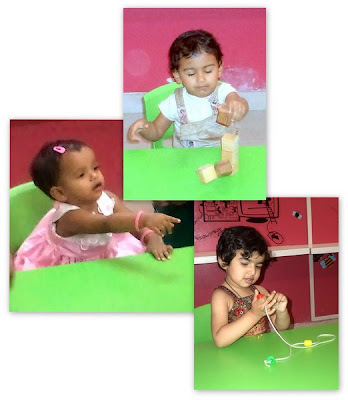 Pathfinder Clinic judged the psychological development of toddlers participating in one such local event. Healthy baby contests are among the most attractive activities organized by many preschools and communities. Assessment is a sensitive issue at any Healthy Baby competition. Parents of contestants are concerned regarding partiality and subjective errors. Judging a Healthy Baby Contest objectively is crucial to the credibility of the event. Can psychological development be objectively assessed in 5 minutes? Psychological assessment can be time consuming and difficult to operationalize. The child’s development is captured in speech, social interaction, and manipulation of every- day objects. Usually a child’s developmental milestones are judged ‘objectively’ based on the parents responses to available screening questionnaires. We decided to get our knees dirty and go down to toddler level to get a direct assessment of where they were at. The caveat, the organisers wanted us out of the way in two hours. We judged 39 toddlers aged 2 to 4.5yr. We took three hours; less than 5 minutes per child on an average. The atmosphere around the play rooms was intense - mainly contributed by parental anxiety. Pre-school coordinators ensured each child walked into the room with their parents. Despite some adult anxieties each family was safely seated at toddler level. Every child was greeted and asked their name. They were then asked to point to and name parts of the body and animal figures; draw age-appropriate figures; manipulate wooden blocks or coloured beads; and catch a large ball. Are healthy baby contests a waste of time? With a reliable scoring system, the results are easy and quick to interpret and more acceptable. The protocol can serve as a guideline for educating caregivers and teachers regarding simple criteria for monitoring the child’s health status. These also serve as a checklist for their activities. Screening of at risk children - one child screened positive for autism (prevalence rate in the literature is 1 in 110). The parents were advised the need for follow-up. Healthy Baby Contests can have a positive impact on the community when conducted scientifically. Psychological development of infants and toddlers can be effectively judged through direct observation in a short time-frame. Checklists and psychological screening questionnaires for mental illness are effective, easy to use and widely available. Pune was shocked into considering the need for mental health screening of its bus drivers after one of them wilfully killed eight people and injured 32 others. He hijacked a bus at the depot and mowed down victims in broad daylight. Amidst the protests, and outrage the Pune administration has decided that all its bus driver undergo psychological testing. We have already looked at screening of police personnel for mental health problems, and also screening of teenagers for alcohol and drug abuse. Here we specifically examine the feasibility of regularly screening the 8600 PMPL staff and Pune bus drivers for mental health problems. Aggressive bus drivers have more anxiety, hostility, and anger. They display competitiveness when driving aggressively, and display anger at slow drivers and traffic obstructions (Galovski 2002). Aggressive drivers with Intermittent Explosive Disorder (IED) endorse more assaultiveness and resentment. They display more impatience, hostility and have an angry temperament. The aim of mental health screening is to identify individuals who require a more detailed examination. One counsellor will never be able to carry out any evaluation of 8600 staff. There are already valid (test identifies persons mental illness) and reliable (results remain the same when administered by different testers and on re-testing) checklists for mental health screening. Two mental health screening instruments that satisfy many of the ideal criteria are the COOP/WONCA charts and the WHO-5 questionnaire. Both have high diagnostic accuracy for mental disorders. Specificity, sensitivity and positive predictive values range from 0.85 to 0.87 (Anything more than 0.7 is good). The COOP/WONCA measures six core aspects of functional status: physical fitness, feelings, daily activities, social activities, change in health and overall health through six charts. The charts have been successfully used in illiterate populations, and have guidelines for translation where required. The average time for completion is less than five minutes. One-time assessment with the COOP/WONCA Charts is a valid and feasible option for screening for mental disorders at the primary care level. The WHO-Five Well-being Index (WHO-5) is a set of 5 questions that can be used when six charts are too much. A mental health check is most acceptable as part of the regular or annual ‘health check’. Those who score above the cut-off are taken up for detailed assessment by a psychiatrist or other mental health professional. No additional man-power is required. The process will not cost in crores. Our roads will be safer. We need to use available checklists and screening tests for early detection of mental illness in Pune’s bus drivers. Galovski T, Blanchard EB. Psychological characteristics of aggressive drivers with and without intermittent explosive disorder. Behav Res Ther. 2002 Oct;40(10):1157-68. Issever H, Onen L, Sabuncu HH, Altunkaynak O. Personality characteristics, psychological symptoms and anxiety levels of drivers in charge of urban transportation in Istanbul. Occup Med (Lond). 2002 Sep;52(6):297-303. Ugeskr Laeger. 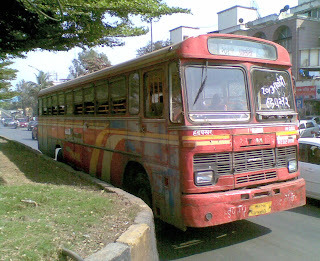 Psychiatric admissions among city bus drivers. A prospective study. Ugeskr Laeger. 1989 Jan 30;151(5):302-5. Difficulty with reading, spelling and maths is rampant among Indian students. Two recent reports have highlighted this academic underachievement. The academic infrastructure is definitely a major contributor. However, unrecognised dyslexia or other learning disability also needs to be considered by every concerned parent and enlightened teacher. We have already discussed the management of dyslexia. Here we underline the urgent need for action. India ranked 72nd of 73 countries in a comparative international survey (PISA) of 15-year-old students. 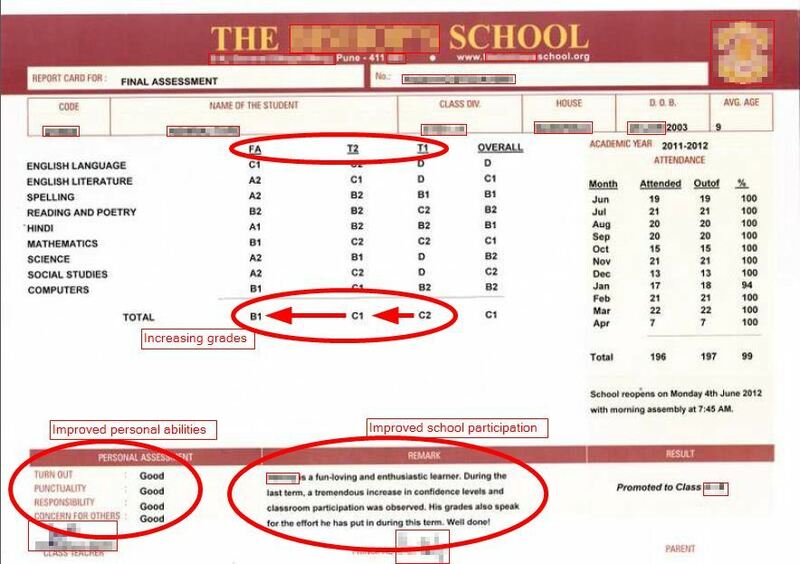 All students were assessed on the same test for knowledge and skills in reading, mathematical and scientific literacy. 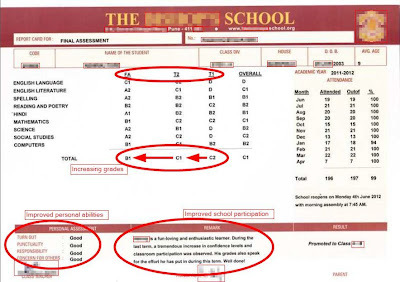 A sample of more than 5000 students from 200 Indian schools were assessed in this program. In none of these categories did more than 17% of Indian students scored above baseline levels as compared to 81% of students from OECD countries (US, UK, Australia etc). The Annual Status of Education Report (2010) paints an equally dismal picture. This may be a scathing indictment of our education system, but it also reflects the presence of unrecognised Learning Disorder in our students. Learning Disorder affects 5-10% of students worldwide. Learning Disorder manifests in varying combinations and severity of difficulty with reading, spelling and arithmetic. Identification of dyslexia or learning disability entitles your child to waivers at the 10th and 12th board exams. The Right of Children to Free and Compulsory Education Act (RTE) of 2009 lays down the duties of government, local authorities and parents; the responsibilities of schools and teachers; and the norms for schools. These norms include the number of teachers, buildings, minimum teaching hours, teaching aids, library, and recreational equipment. However, the teaching to be done is not mentioned and nor is it monitored. Rote learning is emphasised. 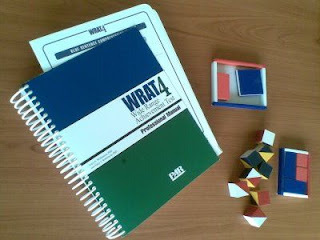 Students fail to acquire basic reading, writing and calculation skills that are required to continue learning as adults. The Right of Children to Free and Compulsory Education Act (RTE). Recovery to meaningful functioning after even severe mental illness is the present standard of care in mental health treatment. Recovery is made possible by medications that are now widely available at a reasonable cost. 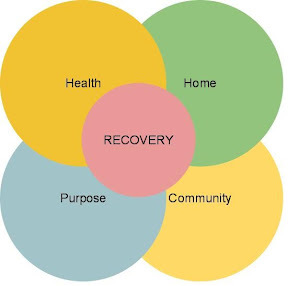 Planning and persistence with treatment need to be ensured to achieve a quality recovery. 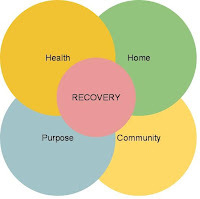 The road to recovery from mental illness has four components that together give meaning to life. Overcoming or managing the disease and living in a physically and emotionally healthy way. Start with the basics - medication, meals, sleep and exercise. Establishing routines for these basic health tasks are essential for recovery of function. Medication is the corner stone on which recovery is nurtured. In the absence of medication frequent relapses and recurrences disrupt basic functions that protect the individual from the illness producing effects of daily stressors. In daily practice we see persons with the most severe mental illnesses putting aside their disturbing thoughts, controlling their behaviours and getting back to school or work; while others with a milder illness are unable to leave their preoccupations and move ahead with life. Trusting relationships are quite often what they lack. Trust makes the home feel safe. Meaningful daily activities, such as a job, school, volunteerism, family caretaking, or creative endeavors, and the independence, income and resources to participate in society. A person needs something to recover to. Amazing recovery can be sustained in a supportive job environment. Some bosses give this support naturally. It may be it is in their outlook; they see the illness as just one aspect of the persons identity. Vice versa, others with good symptom recovery without stigmata are unable to function in a hostile work place, and are unable to integrate with society and lead meaningful lives. Relationships and social networks that provide support, friendship, love, and hope. From volunteering at the community bookshop to joining a local football team; community interactions bring many otherwise isolated individuals into useful contact with others. These valued interactions are based on a personal identity which is not connected to their mental illness. Recovery is a process towards achieving ones potential. The first small steps result in giant gains. Without them the individual is unable to reach any level of meaningful recovery. The first step for persons with serious mental illness is medication. Without medication, recovery from serious mental illness is long-drawn, stigmatising, and characterised by frequent relapses. Medication is the pillar around which recovery is fostered. A supportive home, work-place and community further augments this process. Recovery from severe mental illness is a process, it does not happen overnight, but for those who stay the course it brings the meaning back to life.